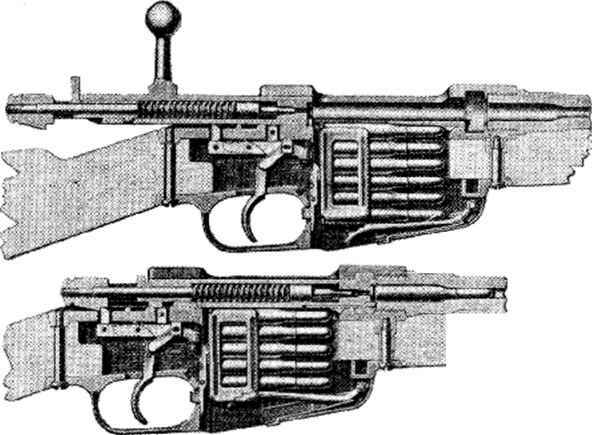 Besides the two models mentioned the Italian Army was equipped with a wide variety of Carbines and older model bolt action weapons. An automatic rifle of 6.5mm caliber was used to some slight extent. This is called a Reveilli. So few were in use or manufactured that a detailed description is not warranted. The wide variety ot rifles in use by the Italians during this war (at least 15 types can be identified) all have one thing in common, all are poor military weapons in comparison with United States, British, German or Russian equipment.